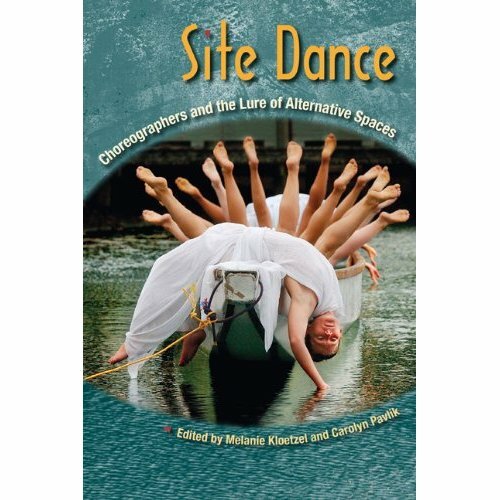 fluential practitioners of site dance, Kloetzel and Pavlik raise crucial questions about the site-specifc dance genre and provide a portrait of an increasingly relevant cultural practice. The close examinations of the work of such artists as Meredith Monk, Joanna Haigood, Stephan Koplowitz, Heidi Duckler, Ann Carlson, Olive Bieringa, Otto Ramstad and Eiko Otake offer important insights into what motivates some choreographers to embrace the challenges of unconventional venues. Olive Bieringa and Otto Ramstad are directors of a Minneapolis-based improvisation and site-specific dance company called BodyCartography Project. Since 1997, this dance company has been able to present over 150 performances, including in international sites such as Russia, New Zealand, and Japan. Through installations, site films, workshops, and performances, Bieringa and Ramstad’s works are known for exhibiting the distinction between public and private places, as well as that between wild and urban settings. Their works have been recognized internationally as they have received awards from Europe, the United States, and New Zealand, and they have even been featured on the BBC. They prefer to refer to their work as site specific because, aside from how this term is found to be the most accessible, the work is really based on the features of the site as it cannot be performed on any outdoor location. Site-specific refers to how several different people and things are involved to include the site’s historical dimension. The book is available from Amazon and University of Florida Press.